This release has been superseded by the March 2017 update. This old version is archived in case of problems with game save compatibility. 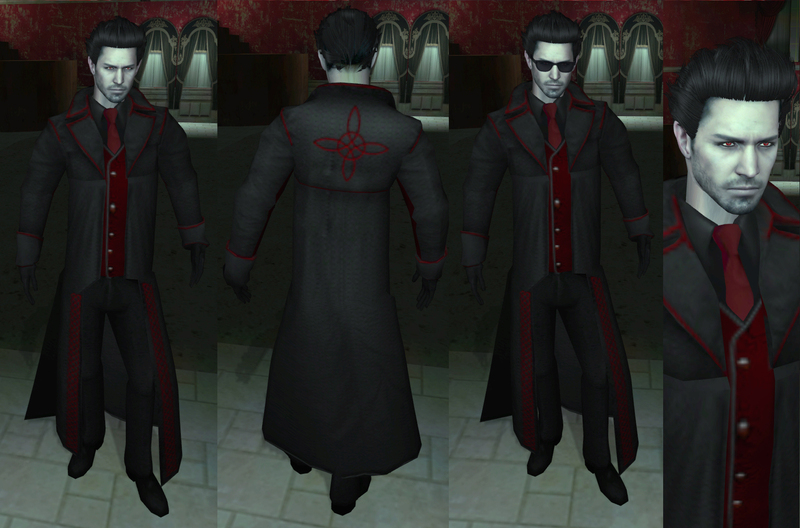 Lenora has once again updated her Dark Realm Packs for Vampire the Masquerade- Redemption. This pack is fully compatible with previous saves, nothing has been removed. However the last month’s version is still available if you do run into any problems. The following description is provided by Lenora. 2) Download and extract into your main vampire directory: Darkrealm_Skins_Core_02.22.17. Download and extract into your main vampire directory: Darkrealm_NPC_Add_on_02.22.17. 5) PROP AND ITEM PACK: Download and extract into your main vampire directory: Darkrealm_Props_02.22.17. > Updated Damora skin! 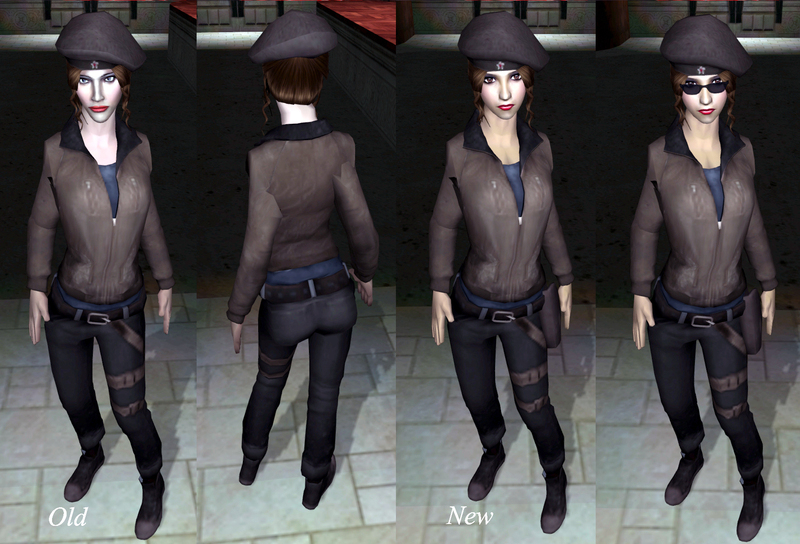 Now includes new hair for the Damora_Vic upgrade/npc. > Updated Lucien skin! 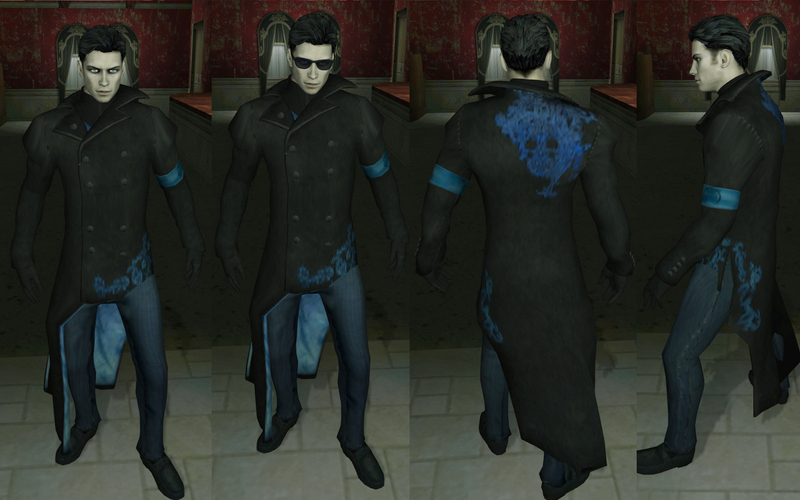 Now includes a midnight blue and black frock coat. > Updated Oslo skin! Now includes a long red coat upgrade. > Updated Aiya skin! Now includes a white lace suit dress and Victorian dress. > Updated Perse skin! Now includes a black suit dress. 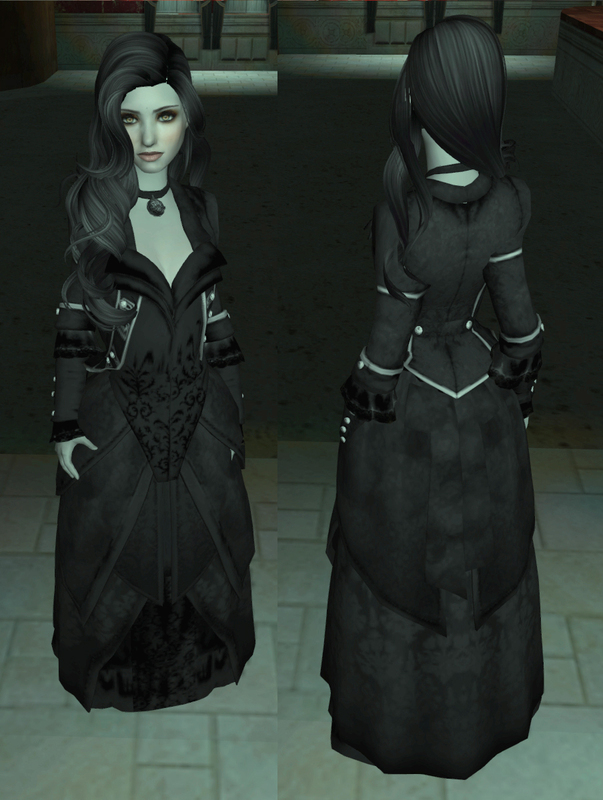 Now includes new hair for the Victorian_B_Dress skin/npc. The Victoria_Uptown skin/npc is now a trench coat. * Aiya_Suit lace pattern on the legs now doesn’t overlap the shoes. * Lucien_Suit and Salal base model now has a cleaner white texture. * The hot tubs have dynamic water effects. * The Roman baths now have dynamic water effects. * The Royal_Bed and Royal_Bed_Chains have been made larger so they’re more proportional in the game. Also the crooked bedpost has been fixed.